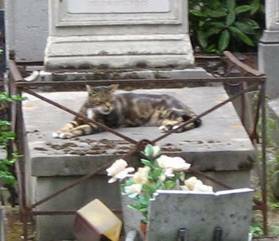 Cat guards a grave in the cemetery. There were many cats there, some of whom were quite feral. 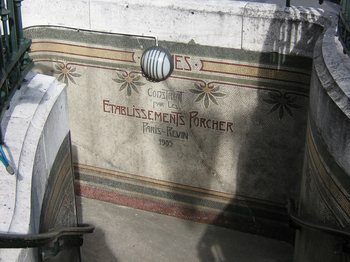 Mary had read about some art nouveau toilets below ground at the Place de La Madeleine. We managed to find them, but like many places in Paris, they closed early due to the World Cup. 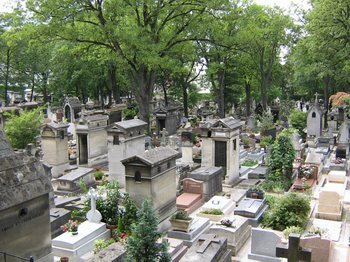 Paris lost to Italy, by the way. 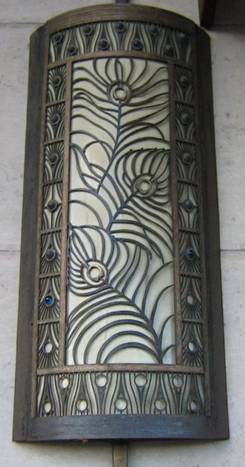 Deco light fixture on a building near the Seine. 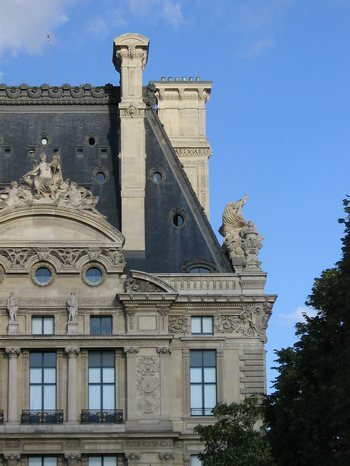 I took this while we were peering into a brasserie where the World Cup France vs. Italy game was displayed on TV. It was a very tense game. 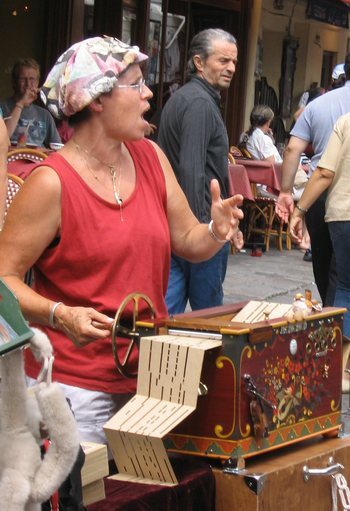 This busker on Montmartre had a powerful voice and she could whistle beautifully, too. 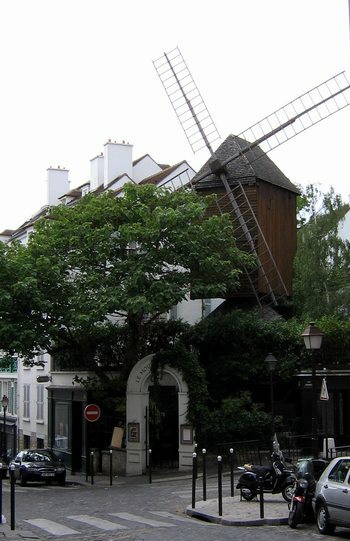 The Moulin de la Gallette on Montmartre. 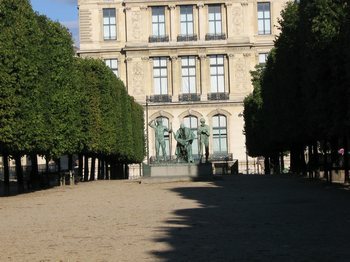 Its garden is the site of well-known Renoir paintings of working people drinking and dancing. It is now a restaurant.